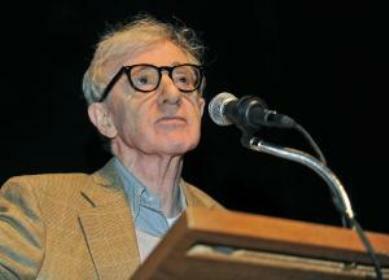 Oscar-winning film director Woody Allen on Thursday joined two Nobel prize winners in a petition demanding that the UN Security Council condemn the Syrian government crackdown on opposition protests, organizers said Thursday. Allen, Nobel literature prize winners Wole Soyinka of Nigeria and Orhan Pamuk of Turkey and leading writers such as Salman Rushdie, Umberto Eco and Bernard-Henri Levy are all calling for a UN resolution. The signatories say it would be “tragic and morally inacceptable” for the Security Council to do nothing. Britain, France, Germany and Portugal have proposed a resolution condemning the crackdown by President Bashar al-Assad’s government. Russia and China are strongly opposed and Brazil, South Africa and India have raised strong objections.